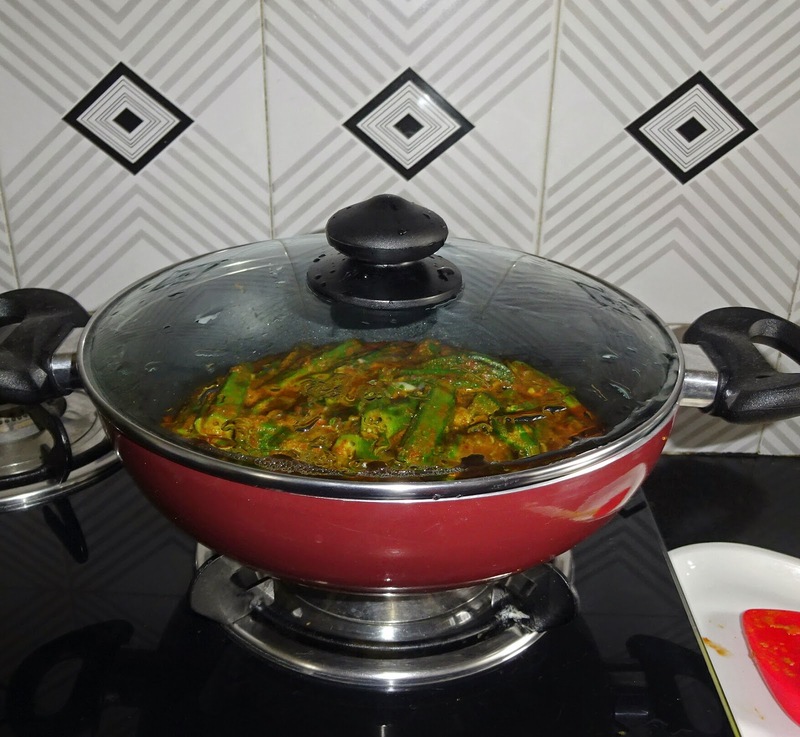 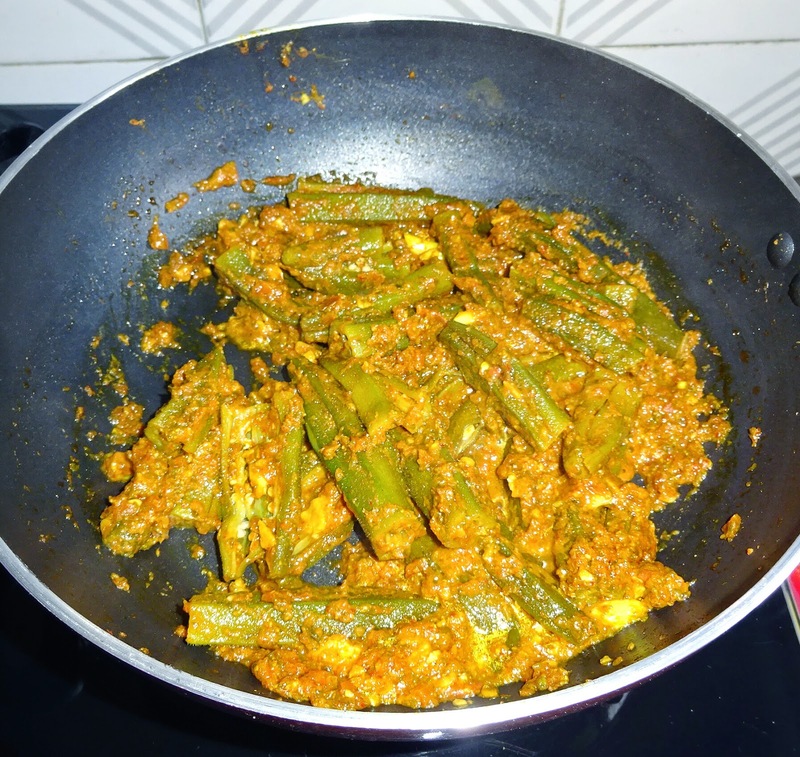 Veg Indian Good Food Recipes..: Bhindi Green Garlic Masala Fry..
My mom is the best cook in this world, who ever visit our home, can't leave without appreciating her food. 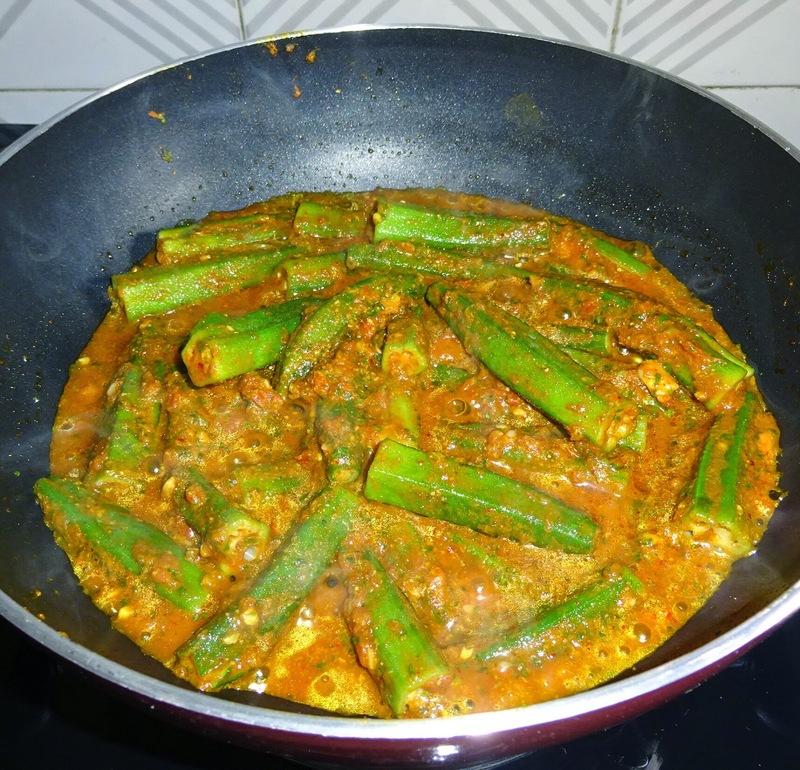 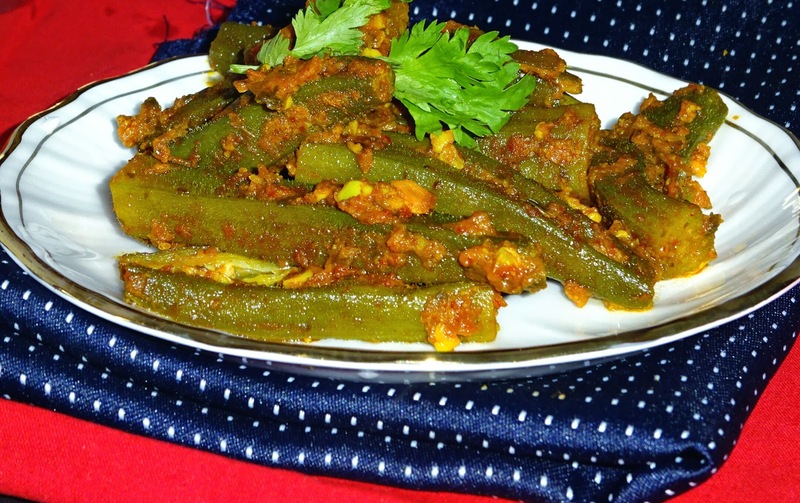 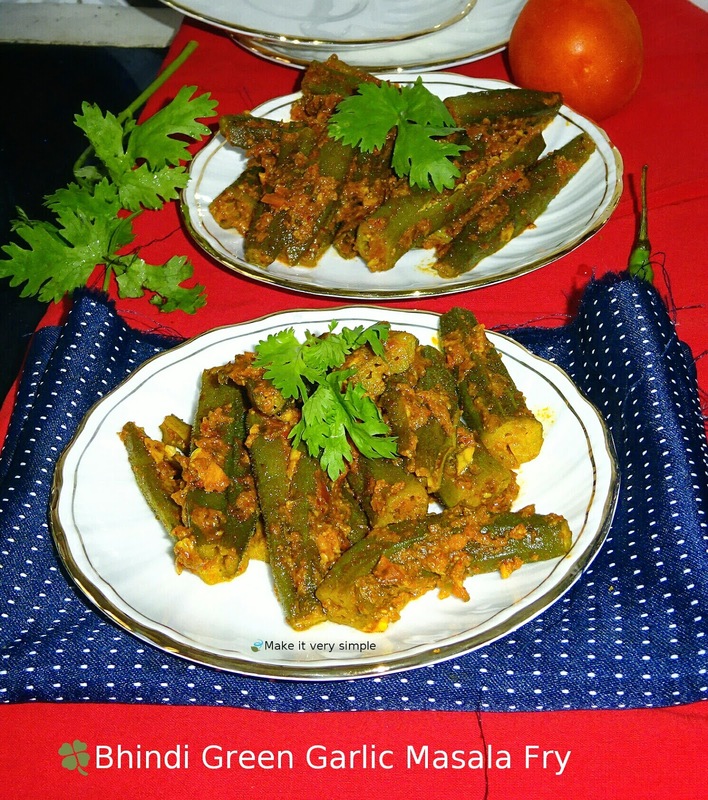 Bhindi Green Garlic Masala Fry is one of the most loved recipe of my mom. 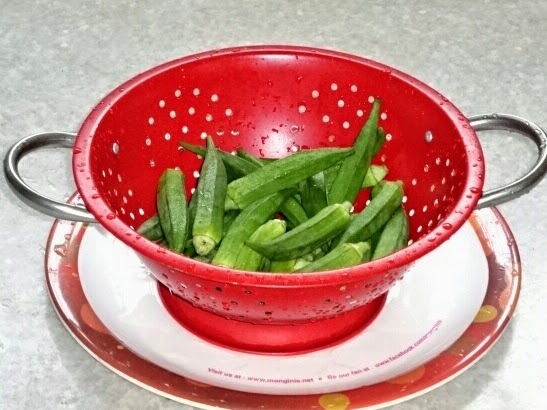 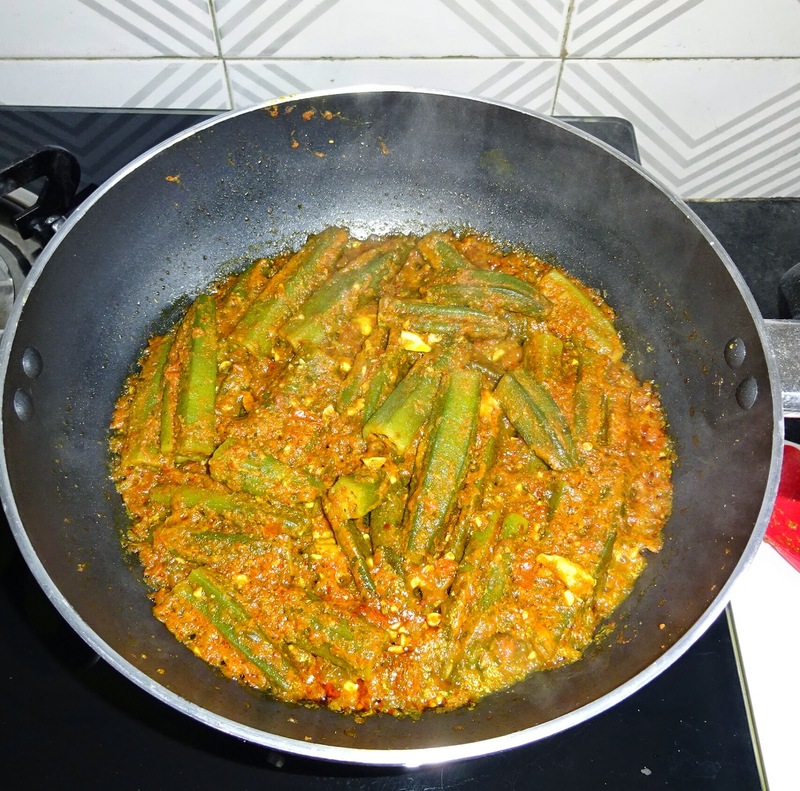 My cousin whenever visit our house, before coming, do check with mom as whether bhindi is available, if not, please arrange, and she will visit with this condition that mom will cook bhindi for her. 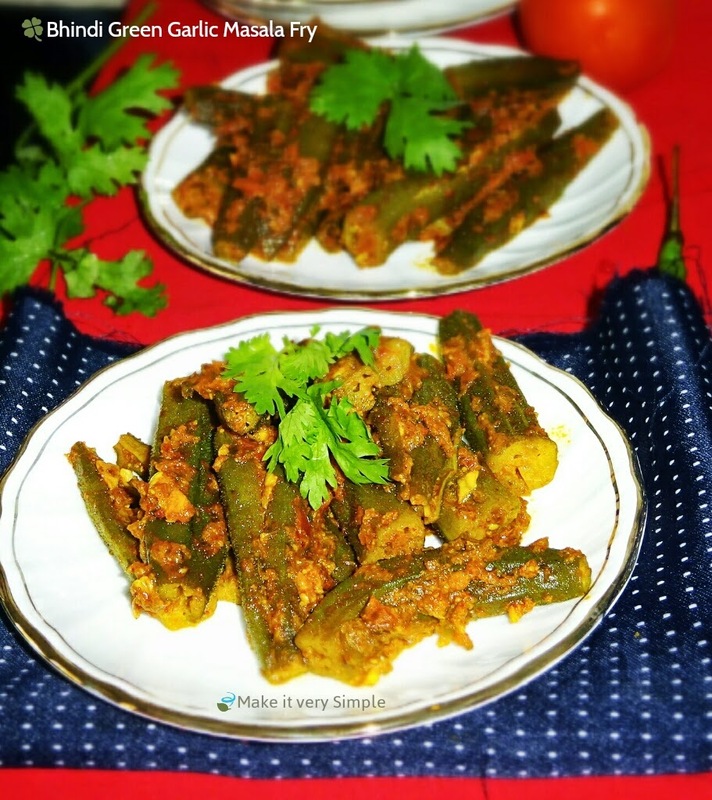 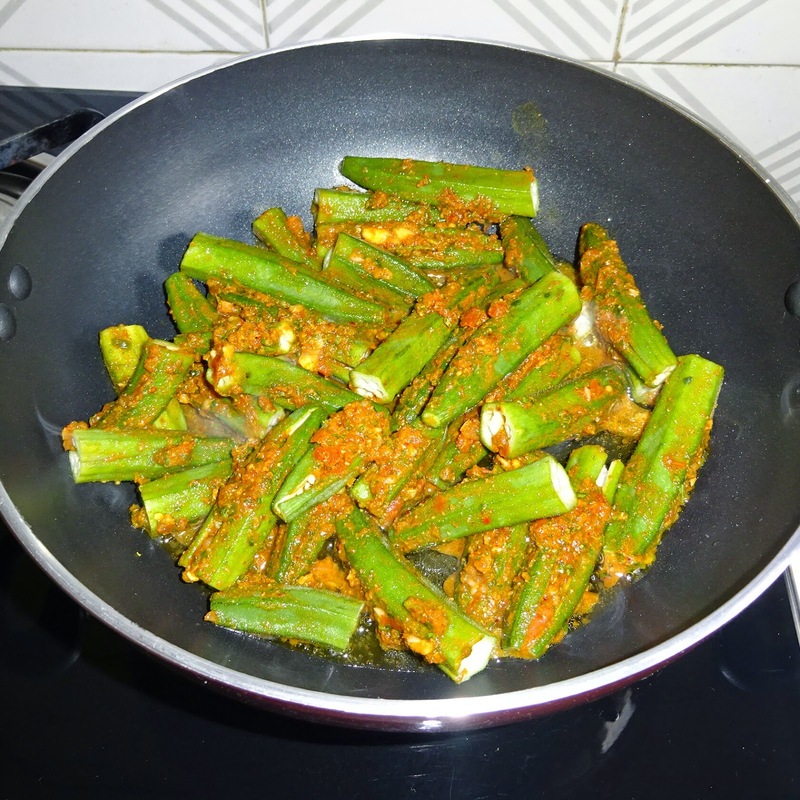 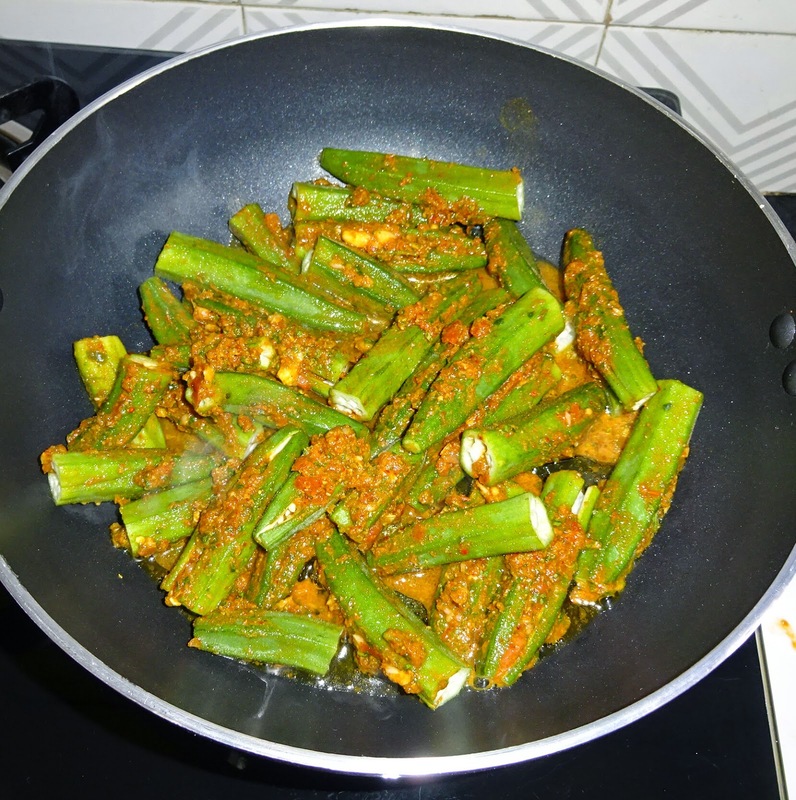 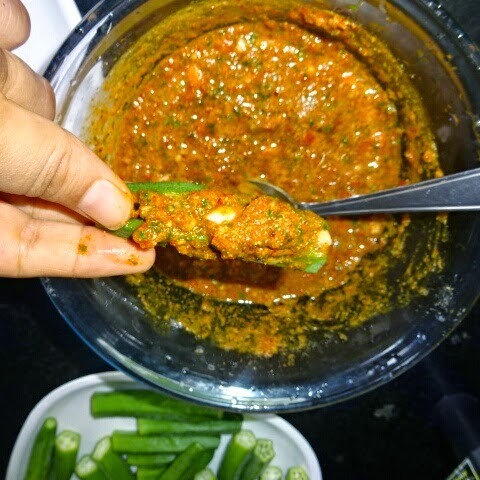 My today's recipe is best recipe for bhindi lovers..
Bhindi - okra - ladies fingers, call it by any name, being quite a slimy vegetable doesn’t appeal to the tastes of everyone. 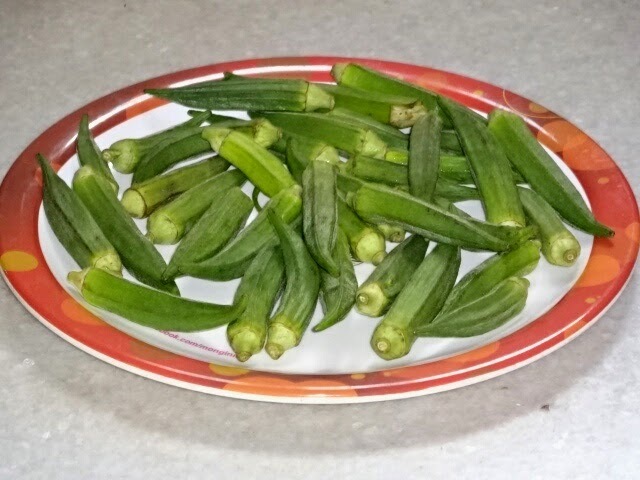 There are some people who can’t stand the sight of okra. 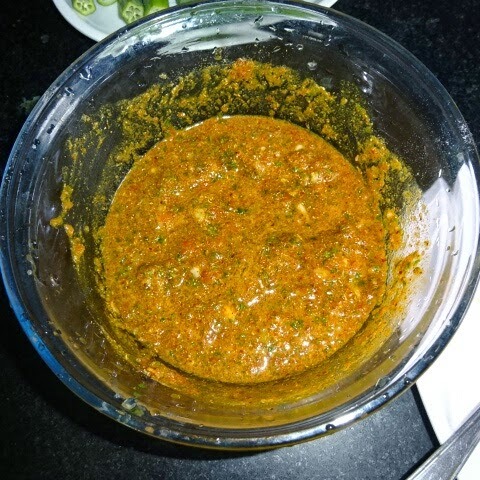 Yet others adore it. 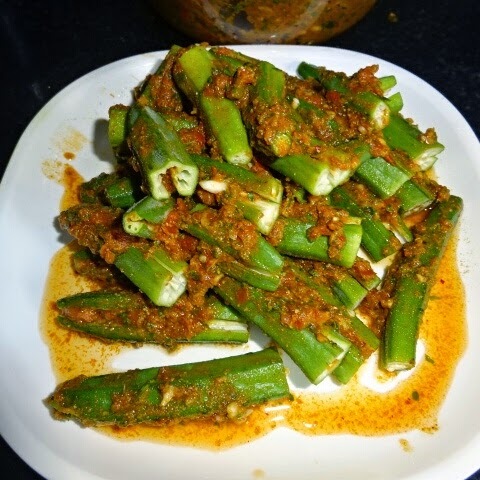 My today's recipe of bhindi green garlic masala fry is first recipe which is not so simple recipe, as it require good time of yours as you need to make coarse stuffing of garlic, fresh coriander leaves, tomatoes and stuff this in each and every bhindi..
◾Wash under running water tap, clean and pat dry the okra with a clean cloth, trim the ends and slit the bhindi, don't cut them in two pieces, just slit as you can able to see, bhindi is free from worm or insects and we can able to stuff masala inside..
◾Most important point: Don't make fine paste, particularly I am talking about garlic - that should never be added paste form in this recipe, as we are using good quantity, fine paste of garlic will completely spoil this recipe. 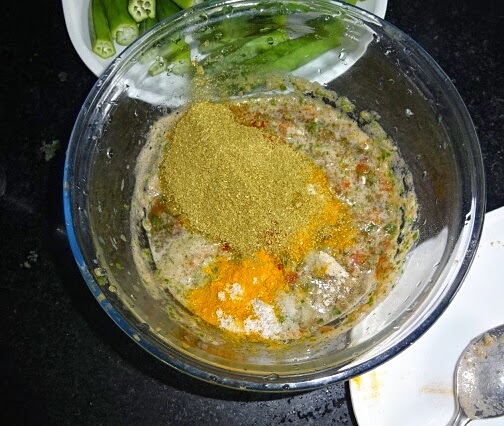 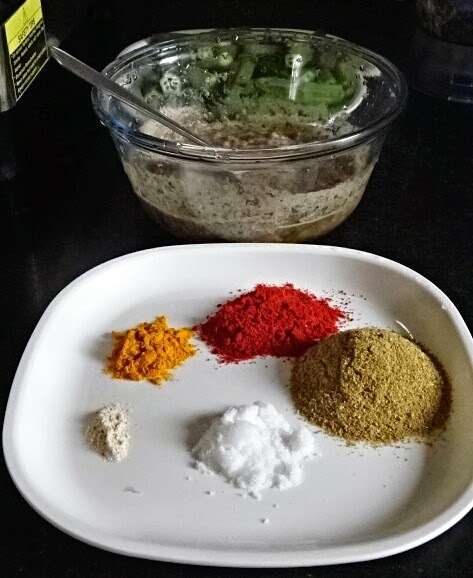 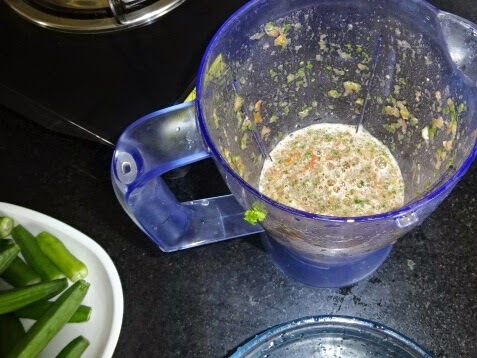 ◾If using grinder or blender use pulse / push option, and not grind option, if not confident in mixer grinder then use Indian method of mortar and pestle or very finely chop garlic and make coarse grinding of tomatoes, green chilly and coriander leaves. 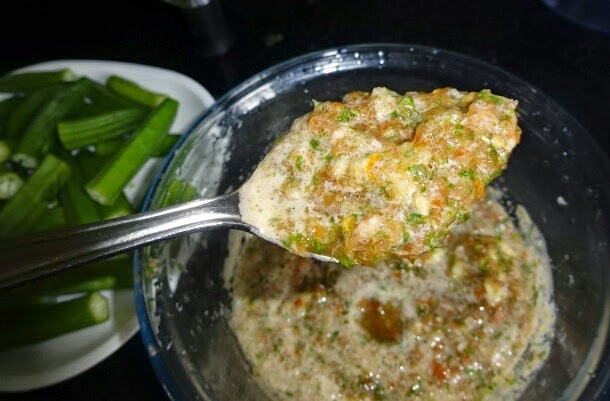 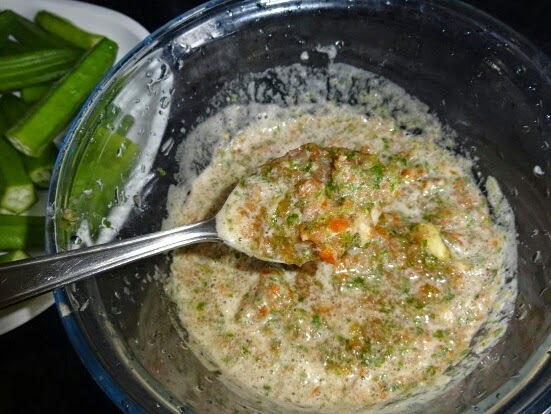 ◾For this stuffing, we make coarse paste of tomatoes, ginger, green chillies and coriander leaves..
◾Now add above mentioned dry ingredients, mix well, our stuffing is ready now. 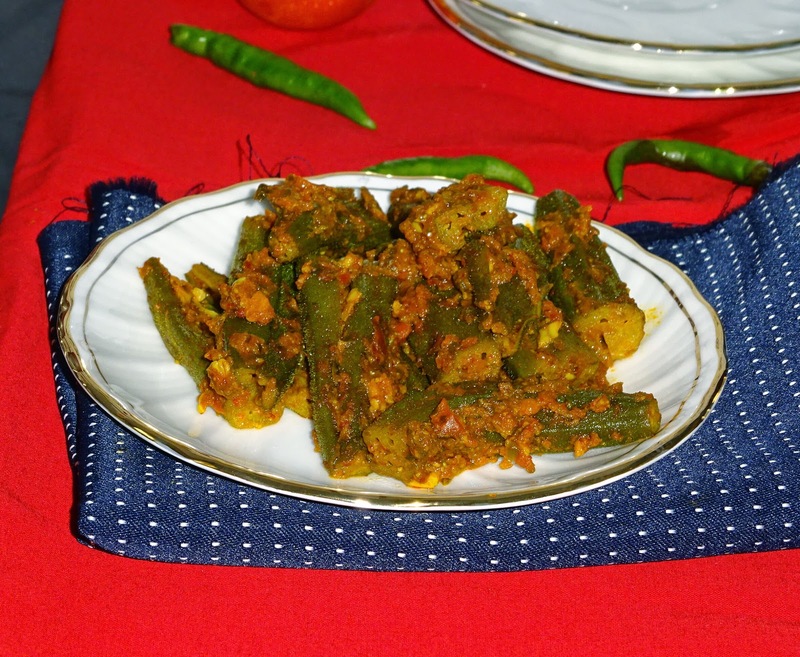 ◾Stuff 1 tbsp of the prepared stuffing into each bhindi. 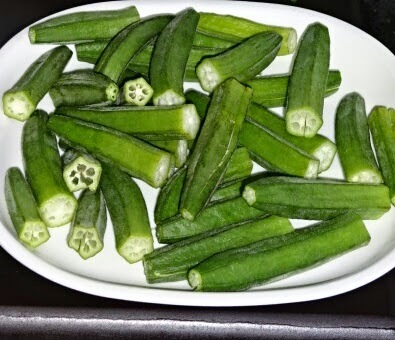 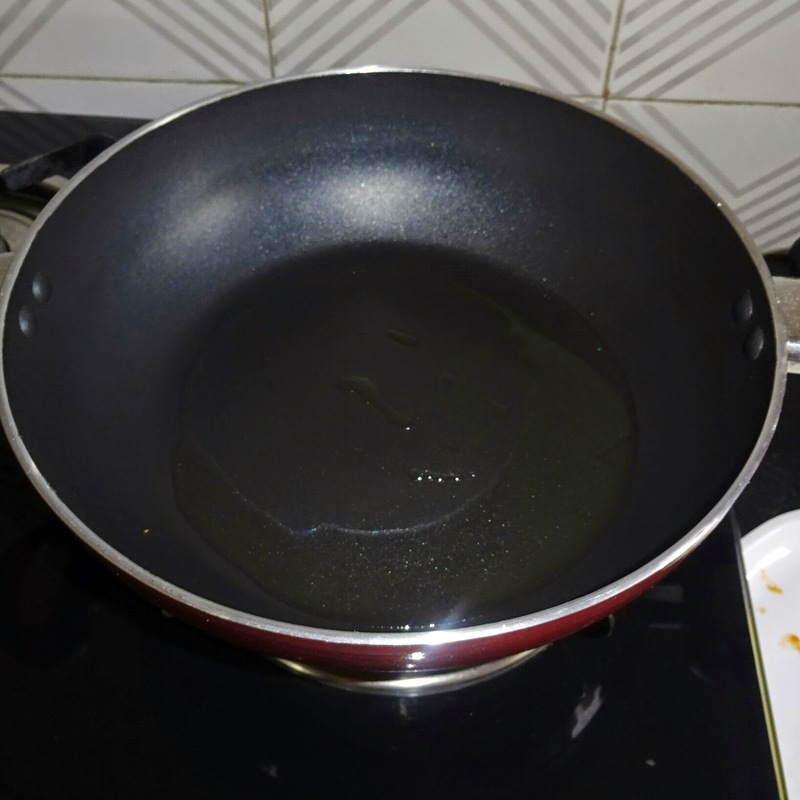 ◾We have to stuff each and every bhindi with this above stuffing, This is the most time consuming work and require your efforts and patience, many skip this part, but if you want to enjoy delicious bhindi, don't skip this stuffing part..
◾In a fry pan heat oil, add these stuffed bhindis and mix well, first 2-3 minutes cook them on high flame, keep stirring constantly. 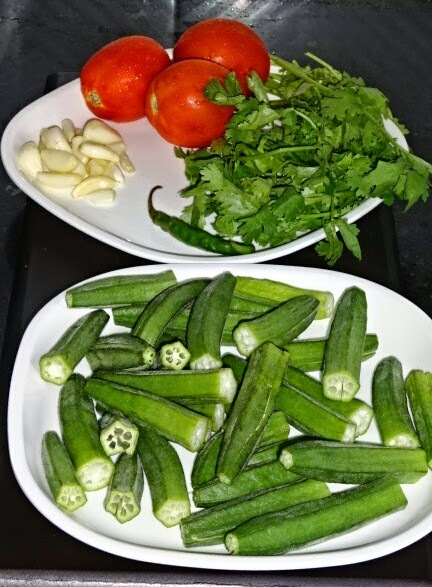 ◾Now add left over masala (stuffing we have prepared, if left in bowl) and half cup (15-20 ml) water, cover with a lid and cook on a slow flame, stir occasionally, cook for 12-15 minutes or till ladies finger are soft..
◾Serve hot garnished with coriander leaves.